Power tools are extremely useful, both in construction for commercial applications, and around the home for do-it-yourself projects which may involve gardening, cooking, cleaning, drilling, sanding, grinding, polishing, painting, heating, and shaping. In short, power tools have a tremendous number of uses, because in effect, they are taking much of the tedium and difficulty out of tasks which would have to be done manually at a much slower rate, and with a great deal more force and strength necessary to accomplish those tasks. Because of the rise in popularity of home improvement projects over the last several decades, especially in Mesa, Arizona, power tools are being used more than ever. They can be found in almost every garage or basement of modern homes. This makes them natural candidates for pawn loans, so pawn power tools with us today! What Types of Power Tools Can We Bring in? Power tools also range in value from the relatively inexpensive types, like a simple power screwdriver, all the way up to some very expensive multi-purpose power tools which can accomplish almost anything, by interchanging attachments that can be used to accomplish each of those tasks mentioned above. If you have a collection of these power tools in your garage or basement, and you have a need for raising cash quickly, we may be able to help you with a big cash advance on those tools to get you through your financial difficulty. If you prefer, we can buy your power tools outright, although we will be very happy to draw up a pawn loan agreement to pawn power tools with you, so that you can also retain ownership of your favorite useful power tools. By paying each of the three monthly installments on your pawn loan agreement with us, you’ll have all your power tools back very quickly, and you can get back to your home improvement projects without missing a beat. 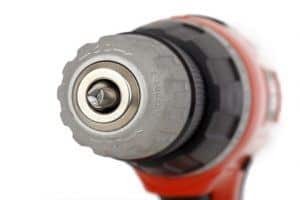 If you’re not sure about how much value your power tools might have, by all means give us a call ahead of time and we’ll be able to provide you with a free quote to give you a ballpark estimate. Then when you bring in your power tools to our pawn shop store, we can give you a fair and honest appraisal right on the spot in your presence, and you can pawn your power tools in Mesa, Arizona right here at our pawn shop store. Are There Other Power Tools Acceptable When you Pawn Power Tools? We can accept washing machines, wood routers, drills, disk sanders, food processors, hedge trimmers, impact wrenches, jackhammers, knitting machines, belt sanders, alligator shares, air compressors, chainsaws, floor sanders, heat guns, lasers, lawn mowers, leaf blowers, nail guns, pressure washers, reciprocating saws, and even many other kinds of power tools. If you don’t have a lot in the way of power tools, but you do have a good stash of household appliances, or perhaps even jewelry, we can also accept those as collateral for pawn loan agreements. We will then be able to advance you the highest payouts for each of your valuable assets, so you can have the money you need to get yourself through a cash flow crisis or temporary shortfall.